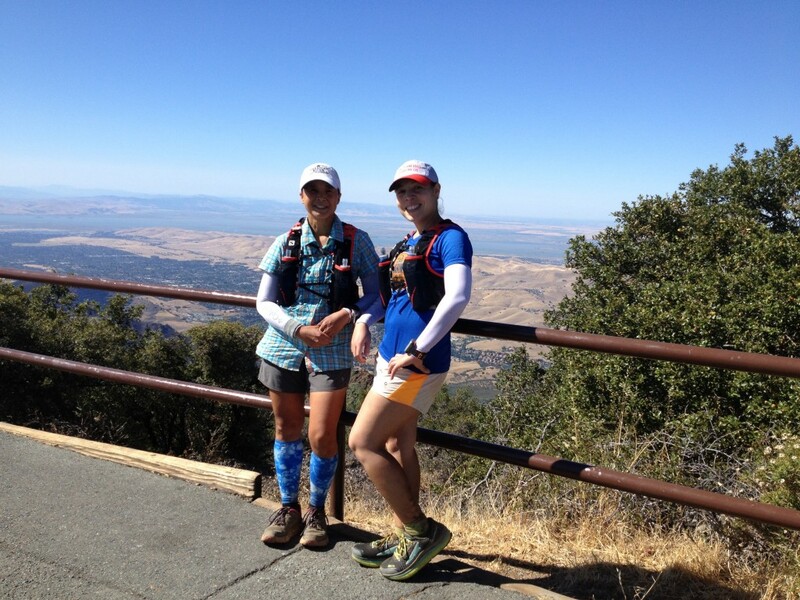 The last peak, the summit of Mount Diablo itself. Ready to descend and end a very long day. I wasn’t a hero the first day on Tam. When I finished I wanted to feel like I could turn around and go back up if I needed to and I did. Put a lot of thought into planning my two different loops on Diablo. Did the climb to North Peak first since there would be no access to water and the temperature a bit cooler. Did the climb to the top of Diablo second knowing there was water and the descent familiar so less thinking and navigating required at the end of a long day. Learned from my Sierra Azul experience and brought ice to use when we got back to the car to start the second loop. I used my iPhone as a primary navigation tool using the Gaia offline app for the first time since the printable trail maps for Diablo that I could find online were terrible. It worked well but I still prefer a printed topo map. Losing hard-earned elevation due to rolling terrain when I could see the summit I had to get to above me did my head in. Mental fortitude or the lack thereof played a large role in how the second day unfolded. The physical piece was much less of an issue than the mental one. Lower my expectations of how a run will go when three-quarters of it are a question mark. Tam, extremely familiar, vs. Diablo, practically unknown. I went into Diablo thinking it would be as straightforward as Tam when it was far from it. Signing up to cover the SFM for USL after two back to back summit days isn’t ideal. On the other hand, knowing that I could still be completely functional and in a good mood after all that is awesome. 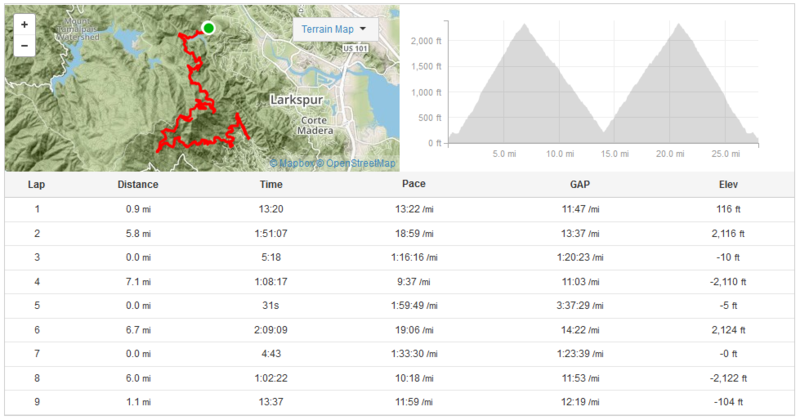 I lost my cool a few times during the second ascent up Diablo. I haven’t done that in a long time. I want to let those moments exist then pass with a lot more grace than how I dealt with it. Day One – Double Tam. 28 miles. 4,800 feet of gain. Day Two – Double Diablo. 27 miles. 7,800 feet of gain. You continue to amaze me – way to go! To your question, ideally I would have done Diablo first to get it out of the way. But that would have meant running it on Friday and alone so I opted for Saturday when I’d have some company.